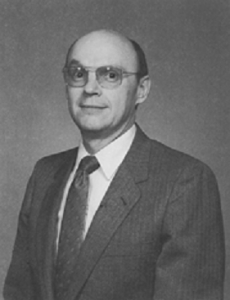 Charles McKinney Vogler (1932 – 1995) – Founder of the Philip Christoph Vogler Memorial, Inc.
Charles McKinney Vogler was an avid archivist, genealogist and the founder of the Philip Christoph Vogler Memorial, Inc. (now the PCV Foundation, Inc.). The archival fund was established in 1998 in recognition and fond remembrance of Charles. For more information regarding the Charles McKinney Vogler Archival Fund please contact Bill Pendleton. Donations should made to Moravian Church of the Southern Province and sent to the address below You may include a tribute to the living or a memorial with your donation. Please designate that the donation be accredited to the Charles M. Vogler Archival Fund.